A Seventh-day Adventist church deacon never expected to be duped by a mother and her teenage son whom he invited into his home after they fled the conflict in eastern Ukraine. But Valentin Zaitsev, 39, said he and his wife, Svetlana, have no regrets. The story of forgiveness and unexpected blessings began in 2015 when Zaitsev learned that a first wave of internally displaced people had reached their Black Sea city of 500,000 residents. The plight of the internally displaced people touched Zaitsev’s heart, and he said his immediate reaction was to seek to help those who had arrived without identity papers, clothing, and food. So Zaitsev, a construction company foreman, set out with his wife to a government-run hostel complex, where they found 50 displaced people living in two buildings, six to eight people per room. Zaitsev introduced himself as a Christian and asked the displaced people what needed. The immediate reply was diapers and wet-wipes. As the friendship grew, Zaitsev asked his new friends whether they would like to meet for Bible studies. Eleven of the 50 agreed, and a local Adventist pastor began to study with them every evening. Then violence erupted at the hostel. A 19-year-old man, Valery, was hospitalized with puncture wounds to his lung and liver after being stabbed. When Zaitsev and his wife visited the hospital, the teen’s mother pleaded with them for help. She expressed fear about returning to the hostel and asked for a place to live. The Zaitsevs were renting a three-room apartment, and they offered to give one of the rooms to her and her son. Valentin Zaitsev speaking in an interview in his apartment in Mykolaiv, Ukraine. Valentin Zaitsev posing with his wife, Svetlana, in their apartment. For a while, everything seemed fine with the mother, Natasha, 42, and her son. He said Natasha cheated a number of people out of money, and he learned that she had done the same thing in her hometown of Donetsk. He also found out that she was not penniless, as she had claimed. Natasha and her son had lived with them for six months. Looking back, the Zaitsev family said the experience had actually ended up a blessing. Natasha didn’t con them out of cash as she had others. She had only lived with his family at their expense. Zaitsev’s wife, Svetlana, said Natasha had proven a big help around the house. But the biggest blessing, Valentin Zaitsev said, was that the family had gotten to serve others. This is not the only unfortunate incident to emerge from Ukraine and neighboring Russia as Adventists have assisted thousands of people displaced since the conflict began in 2014. Members of an Adventist church in the Ukrainian city of Kharkiv who invited displaced people to live on the church’s premises caught a man stealing a washing machine and other goods, said church member Maksym Balaklytskyi. The man was turned over to the police. But the incident didn’t stop the church from reaching out to displaced people, and church members spoke up on behalf of the washing machine thief when he appeared in court, Balaklytskyi said. Zaitsev, a former convict, said he felt similarly. Zaitsev learned about Jesus through Adventist prison ministries while being incarcerated, and he was baptized in 2004 after his release. He later married Svetlana, who was already baptized, and the couple has three children, ages 7, 8, and 10. He told of a man named Mikhail who attended Bible studies at the hostel, visited the Adventist church several times, but then vanished. A year later, Mikhail called Zaitsev on his cell phone and pleaded for help. Mikhail said he had moved across the country and started to drink heavily. 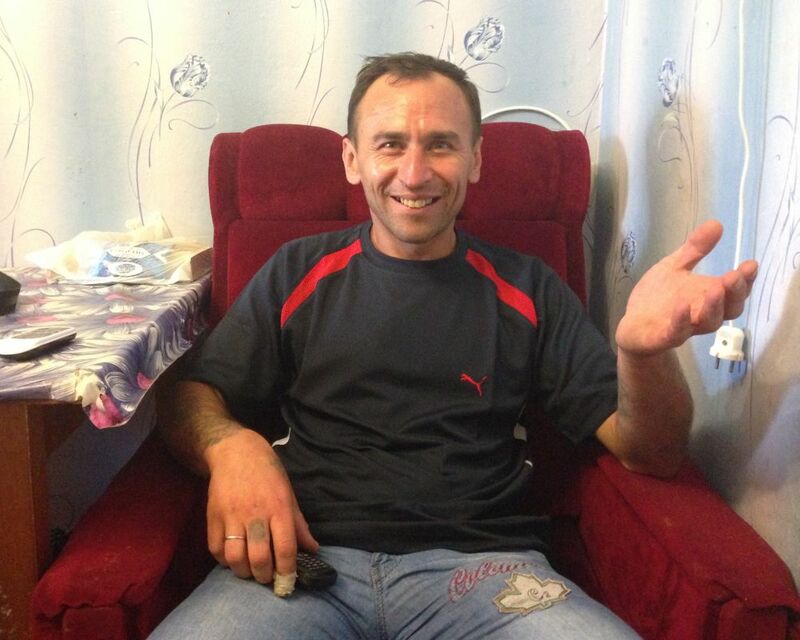 Zaitsev prayed and made several phone calls, finally locating the Adventist pastor in Mikhail’s town. 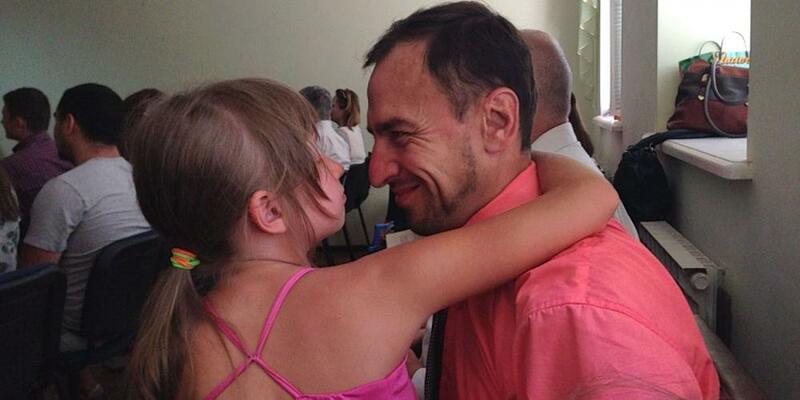 The pastor promised to contact Mikhail. A month later, Mikhail called to say the pastor had been visiting him every day and he had stopped drinking. “The last time we spoke, he said he was attending church every Sabbath and preparing for baptism,” Zaitsev said. Zaitsev said he believes that many displaced people who have encountered Adventists have become more open to the Holy Spirit’s influence. This missionary spirit is common among members of Mykolaiv Seventh-day Adventist Church No. 3, where Zaitsev serves as deacon, said the church’s pastor, Alexander Maximov. Zaitsev said he believes that it is important for Christians to help everyone — whether or not they accept Jesus. Total Transformation Jona is a theology student who benefited from your 13th Sabbath Offerings! Watch and see how your financial support touched many lives in the country of Fiji. You will also enjoy interviews with mission workers and a music video on this episode. 2 Million GLOW Tracts Being Shared in Romania and Ukraine The small booklets contain invitations to major evangelistic meetings.